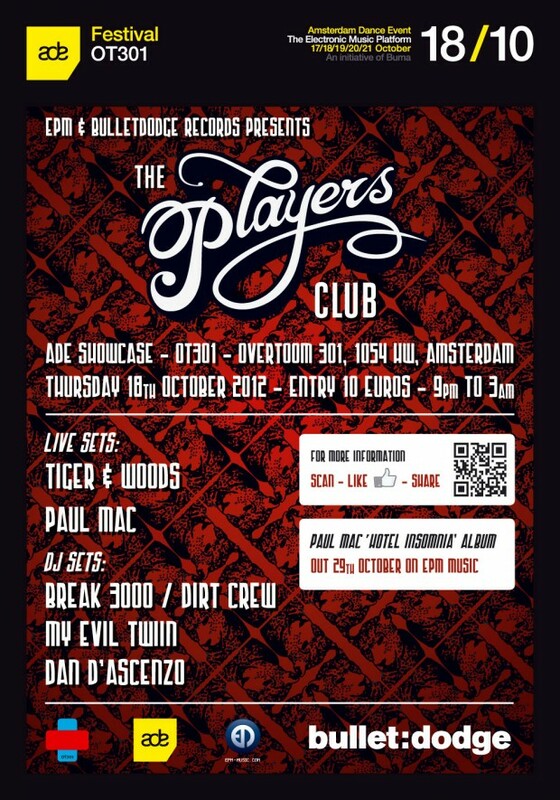 Players Club, the collaborative event concept between EPM and Bulletdodge Records are pleased to announce one of the cutting-edge events of the ADE music conference where future funk meets techno and house. Taking place at the intimate 400 capacity ‘OT301’ club / bar the night brings together a line-up including the mysterious duo Tiger & Woods headlining a host of international DJs including a live set from Paul Mac previewing his new album ‘Hotel Insomnia’, Break 3000 from house experts Dirt Crew, Bullet:Dodge’s ‘My Evil Twiin’ and EPM’s mastering maestro Dan D’Ascenzo. First Dates Announced of Markus Schulz’s­ North American SCREAM Tour!